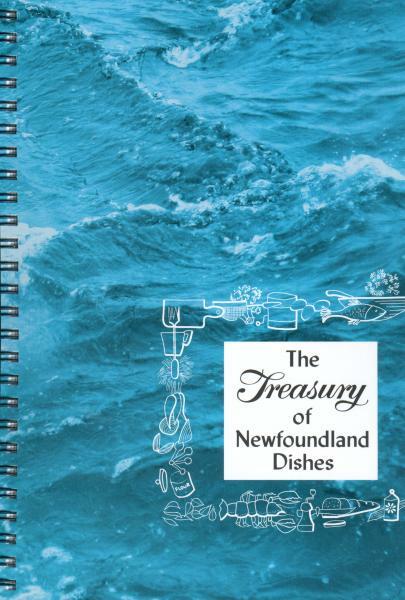 The Treasury of Newfoundland Dishes has been a family favourite since it was first published in 1958. Sally West, a spokesperson for Cream of the West flour, helped create this cookbook together with the Newfoundland Home Economics Association. The Treasury includes hundreds of nutritious and delicious recipes, all of which were tested and approved by professional home economists. You will find recipes such as, Newfoundland White Bread, Old Fashioned Christmas Sweet Bread, Raisin Gingerbread (Newfoundland Style), Steamed Partridgeberry Pudding, Baked Squid, Fisherman's Treat and much more.